You are invited to an ECYD Holy Hour! Legionaries, consecrated and lay people from around the country will be gathering the first week of February for ECYD week--a week of training in youth ministry with the RC charism. 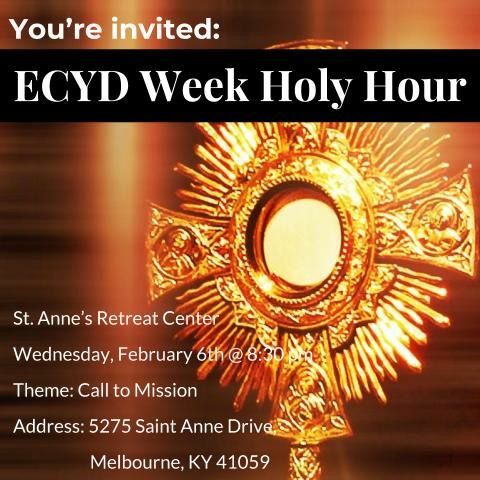 On Wednesday, February 6th 8:30pm there will be an open holy hour led by local ECYD members at St Anne's Retreat Center in Melbourne, KY.
You are invited to come to this special hour of prayer with us!